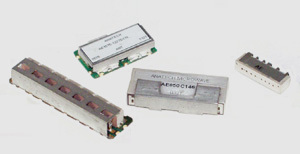 Anatech Electronics Ceramic Duplexers are designed to be used in different wireless systems like GSM, PCS, CDMA, INMARSAT, GPS and DCS Communication. The ceramic diplexers are specifically useful while working simultaneously in two bands like PCS & DCS band. These filters can be used in handheld sets and an surface mount applications.